If you’ve been considering dental implants, it’s important to know that these gold-standard tooth replacements have dramatically transformed dentistry over the past two decades. What was once an elective and complicated option is now something that can be provided in nearly every town across America. Essentially, dental implants are biocompatible restorations that mimic the function of tooth roots. When installed, they provide a wealth of options for people with missing teeth or who need full mouth rehabilitation. Getting dental implants used to involve complex and lengthy surgeries. But thanks to today’s new implant designs and 3D imaging equipment, dentists are able to precisely place these artificial teeth in a seemingly short procedure. In most cases, their placement is mapped out in a computerized program before the surgery ever begins. When CT imaging is used for treatment planning, it’s possible to create a surgical guide that enables your dentist to install the implant in the exact position as the pre-planned digital treatment. Such resources not only reduce the length of your surgery, they speed up your recovery as well. They also prevent unnecessary grafting or sinus lifts, especially for non-traditional patients. Implants are an extremely successful procedure that can outlast any other type of tooth replacement treatment. The success rate exceeds that of 98%, making them more predictable and stronger than options like bridges or dentures. Being that implants integrate with the bone, they are extremely unlikely to come loose. Rather, they become a “permanent” part of your body. As long as they’re well cared for (brushed and flossed daily like natural teeth, that is) and infection doesn’t develop along the gums, you can feel confident knowing that your new implants will likely outlast all of your other teeth. Conventional tooth replacements often rely on reshaping healthy teeth for their support (such as when you have a bridge bonded into place.) Or, clasps (on a partial denture) can rub up against adjacent teeth and cause damage over time. With implants, you benefit from an independent restoration that won’t negatively affect the integrity of the teeth next to it. In reality, their placement in the bone adds extra support to neighboring teeth, preserving healthy tooth alignment. A common misconception about getting dental implants is that you need one for each individual tooth that’s missing. Not so. Because implants are so strong, they can be used in pairs or sets to support multi-tooth restorations like bridges or full arch dentures. In fact, as few as four implants total may be all you need to anchor a 14-tooth upper hybrid denture. Perhaps you’re just considering implants to stabilize a removable denture so that you don’t have to mess with messy pastes or adhesives anymore. If that’s the case, as few as two implants may be all that you need. Dental implant placement does require minimally invasive surgery, but so does wisdom tooth removal. 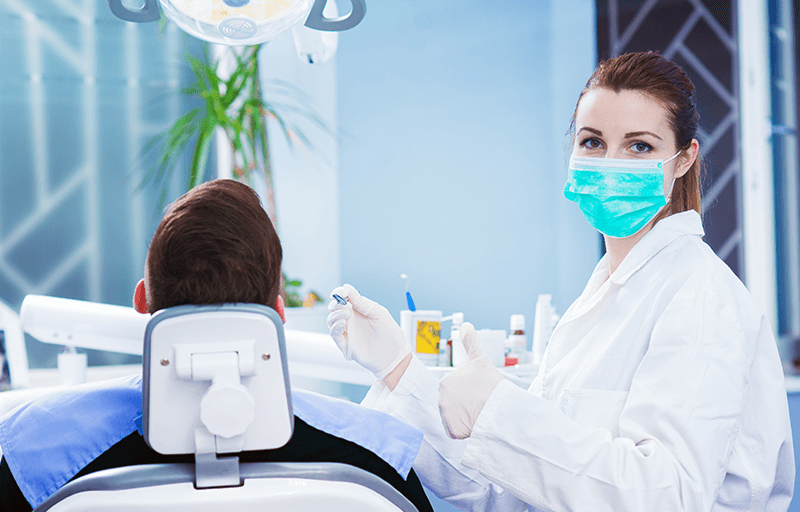 Find a dentist with extra training in the procedure or elect to see one that’s a specialist, such as an endodontist or periodontist. 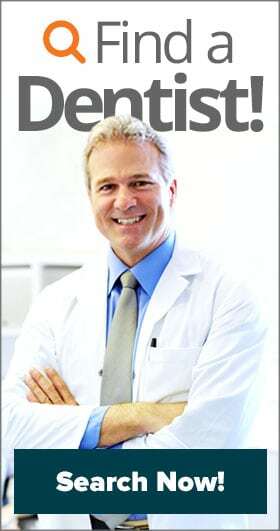 While any dentist “can” place an implant, it doesn’t mean they will offer the service in their practice. As implants were just beginning to become more streamlined, dental insurance companies were hesitant to pay out any benefits on the services. Even today, some won’t cover them at all (even partially.) Fortunately, many carriers are starting to see the advantage of this lifelong service and how it reduces dental costs in the future. As such, patients are starting to see better rates of reimbursement on their care. 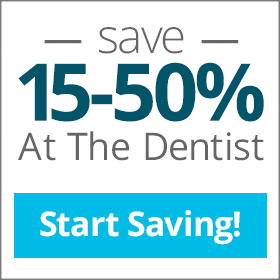 If you don’t have insurance or are without coverage for modern treatments like dental implants, you may want to consider joining a dental savings plan to access discounts of 15-50% on treatments like dental implant therapy. Talk with the experts at Aetna Dental Offers to find out if a discount dental plan is right for you.